What is a Dry Sauna? A dry sauna is the absence of any humidity. A sauna’s dry heat temperature can reach up to 185 degrees Fahrenheit. While a wet sauna incorporates humidity when you add water to the hot stones, a dry sauna eliminates the use of water completely. People traditionally sit in a dry sauna for ten to twenty minutes and then take a cool shower to clean out the pores and reduce any stress that occurred to the body due to the high heat. Saunas were first introduced in Finland. One of the earliest seen in existence was found dug into an embankment in the ground. Constructions after this were wooden structures built above ground and used wood to reach the high level of desired heat. Our modern saunas today typically use stones to achieve this, including dry saunas. Saunas are still built of wood because wooden interiors can absorb and store heat better than other materials. There are many health benefits that are associated with regular sauna sessions. The sauna is essentially giving you a small fever and will cause you to sweat profusely. It has been shown that it is healthy for your body to sweat like this at least once a day. A dry sauna is better than a wet sauna because it is easier to handle the high level of heat, without the added humidity. You can relieve tension, help sore muscles, and relax and decompress in a quiet environment while helping your body rid itself of potentially hazardous toxins. Sweat regulates your body temperature while getting rid of toxins that are being stored in your body. Our bodies contain two different sweat glands, apocrine glands, and eccrine glands. Apocrine glands emit sweat that causes bodily odor and contains fats. Eccrine glands are activated by stress and also helps you to cool down. While you sit in a sauna, you are purging these glands of harmful toxins and reducing the burden these toxins have on your body, ultimately making you healthier and making your skin look healthier in the process. Sweating will occur in the sauna because you are exposing your body to high levels of heat. Before entering a dry sauna, it is recommended that you refrain from any heavy meals before, drink plenty of water, and shower before you enter. A shower before a sauna session allows your body to sweat more, which will increase the positive health benefits your body will receive. It will also wash away any products you might have on your skin or hair which could drip into your eyes while you sweat. Finally, for a more comfortable and enjoyable experience, remove any jewelry, contacts, or glasses and wrap yourself in a towel. After you spend ten to twenty minutes in the dry sauna, you should have a cool shower. A sauna is all about the transition between hot and cold. A cool shower will help close your pores while washing off the sweat and cool you down. After the sauna, you will want to drink lots of water as well. Start off slowly and only sit in there as long as it remains comfortable for you. It is meant to be an enjoyable experience, not torture. Before participating in a sauna session, you should consult your doctor if you are experiencing any health problems related to heart and lung disease, kidney disease, high blood pressure, infections, or epilepsy. You should also avoid saunas if you are feeling ill or in the beginning stages of any sickness. Saunas, however, are great to use as a preventative measure before getting sick. 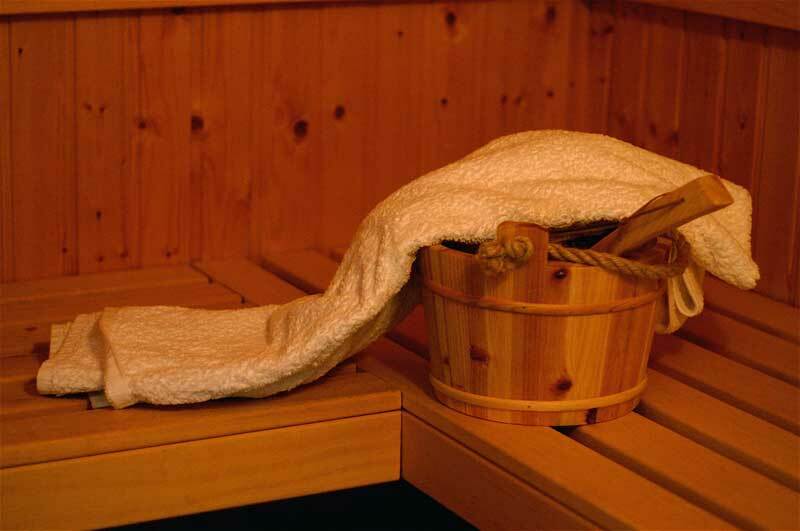 There are definitely many known health benefits associated with dry sauna use. As long as you follow the tips and guidelines and be sure to drink plenty of water, you can soon begin reaping the benefits of saunas by inducing sweat and provoking a relaxing and meditative experience. How to Buy a Cheap Infrared Sauna?